Born in Europe, Maryline spent her formative years in Fairbanks , Alaska . In the mid-1980’s, she won the Miss Alaska Scholarship Pageant where Sarah Palin was her second runner up. Maryline then went on to represent Alaska in the Miss America Scholarship Pageant where she was a talent finalist. She is a singer with a wide spectrum of performing experiences. She has performed with and opened for such legends of entertainment as Bob Hope (USO/Department of Defense), Cab & Chris Calloway, The Platters & contemporary icons like Celine Deon, Peabo Bryson, Phyllis Hyman and the group Exile. Maryline has appeared in venues as varied as Barry’s Place in Mexico , The Famous Bluebird Café in Nashville, The Buckboard Country Music Showcase in Atlanta, Ritz-Carlton Hotels nationwide, Sambuca Jazz Restaurants, St. Martinez in Cannes, Nikki Beach Club Resort (Koi Samui, Thailand) and has shared her talents with international audiences in Spain, Argentina, Switzerland, Portugal, England, Ireland, Mexico, Costa Rica, Philippines, Diego Garcia, Honduras, Guatemala, Japan and Russia. Special appearances have been requested of Maryline to sing the National Anthem for Inaugural ceremony of Senator Max Cleland, Superbowl Fund Festivals, NFL & IHL (National Anthem), NAACP, MLK Celebrations, ACOG (Olympic Celebrations), APOC(Paralympic Celebrations), and many more. Maryline’s talents have also made it on to both the large and small screen. 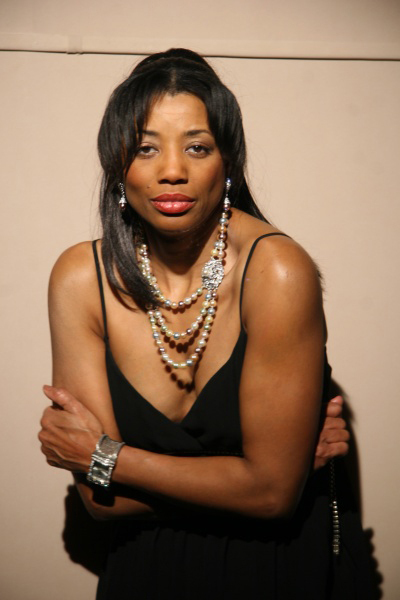 She appeared in the movie “Made in Heaven” with Kelly McGillis and Timothy Hutton, Spike Lee’s “School Daze” with Laurence Fishburne, as well as the daytime television drama, “Sweet Auburn.” Her commercial credits include Ford Motor Company, Gold’s Gym, IBM and Chick-fil-A. Television and talk show’s in which Maryline has appeared are: Inside Edition, Entertainment tonight, DL Hughley “Breaking The News” on CNN. Her musical style can best be described as progressive, incorporating elements of Urban Contemporary, Mainstream Pop, Country and Western, Old School Romantic R&B, with a touch of the power and deep spiritual intensity of Southern Gospel Music. Maryline’s first CD is entitled “Maryline,” for which she wrote and composed seven songs. Her second CD — “Russian Rhapsody” — is a funky upbeat collection of pop music that Maryline co-wrote, performed and recorded in Moscow, Russia. Hard to classify, engaging, entertaining, captivating. When you put it all together you have Maryline Blackburn, a consummate professional able to effortlessly meet the entertainment demands of any audience, regardless of the setting, be it an intimate night club or lounge, a concert hall, an arena or a large convention. Once you’ve heard her voice, you, too, will be a believer in the warmth, energy and uncompromised talent of Maryline Blackburn!